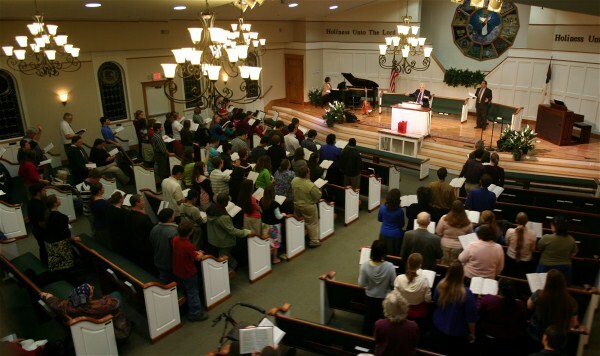 One of the ways which Reformed Baptist Churches have traditionally been distinct from many others Baptist churches is in regard to the serious nature of church membership. We believe that membership is biblical and that it is vital to the life of the disciple. We believe furthermore that members ought to be committed to the church and that they ought to express that commitment by attending all the meetings of the church (for instruction, worship, and prayer) unless they are providentially hindered from doing so. While that is the standard, we must realize that not all within the body will conscientiously embrace this paradigm. In what follows I want to give four clear incentives to faithfully attending the stated meetings of your church. The first incentive is Godward. Your church gathers for the worship of God. The Bible says that everything that has breath is praise the Lord. You were made to worship. God is worthy of that worship. When God is being worshiped in the company of the saints, you ought to be there! The second incentive is selfward. That is for your own good. The church gathers, not only to worship our great God, but to feed, instruct, and equip the saints. Every week spiritual food is prepared by the shepherd for you! It is to aid you in order that you might know the mind of God. While listening to a sermon online is good, nothing beats the dynamics of being in God’s house on the Lord’s Day while His Word is preached to you empowered by His Spirit! The third incentive is saintward. Your being there matters to the people of God. You have duties toward them (dozens of them!) and they have duties toward you. If you willfully and carelessly absent yourself from these meetings it affects them. Your empty seat at the evening service or at the prayer meeting says something. Your voice in song, your voice in prayer, and your engagement with the preaching all have an impact on the blessing of that day. The church is a flock and missing sheep hurt the flock. The church is a family and the family mourns the empty place at the table. The church is likened to a building. It is a far richer place with all the living stones in place! The fourth incentive is sinnerward. What do you say to the lost by absenting yourself from God’s house? What are you saying to them about the cost of following Christ? About the worthiness of God? About the place of the saints in the Christian life? What are you saying to them about eternal priorities? Dear ones, I would not bend the bruised reed or quench the smoking flax. I am not speaking to those who cannot be there, I am speaking to choices. Our choices are informed by what truly matters to us. May the Lord give grace and where need be true and decisive repentance. When I was a kid one of the television shows I watched regularly was called, Lost in Space. The show followed the adventures of the Robinson family, a crew member and a stowaway saboteur named Dr. Smith. My favorite character was the Robot. The Robot’s most famous line was ‘Warning! 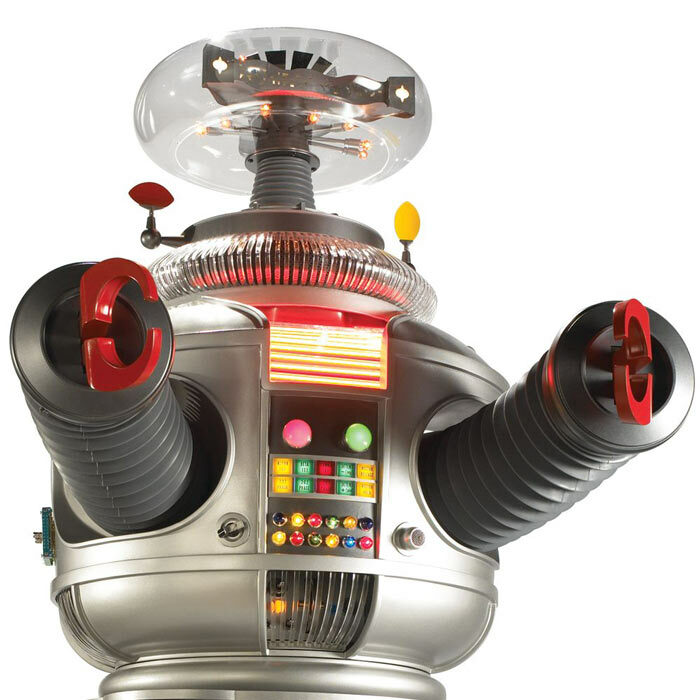 Danger, Will Robinson, danger!’ There are times when I want to imitate my old robotic hero when I am about to preach the word of God. The danger which I have in mind is the danger of knowledge without action. I’m sure you are aware of the sobering words of Luke 12:47-48. There our Lord says, 47 “…that servant who knew his master’s will, and did not prepare himself or do according to his will, shall be beaten with many stripes. 48 “But he who did not know, yet committed things deserving of stripes, shall be beaten with few. For everyone to whom much is given, from him much will be required; and to whom much has been committed, of him they will ask the more. The issue is put even more starkly at the conclusion of the Sermon on the Mount. Jesus has warned that the only one who will enter the Kingdom is the one who ‘does the will of My Father in heaven’. He then follows up with the stunning parable of the two builders. One is wise and one is foolish. One builds their house upon a rock and the other builds upon sand. When the storm comes and the wind blows and the flood water rise, one house stands and the other collapses. Both ‘builders’ were hearers of the word, but only one was a ‘doer’ of the word. A few weeks ago I fellowshiped with a brother who had heard some of my preaching online. He asked me about the effect of a particular series of sermons on the life of the congregation. He said to me, ‘Did people change as a result of what they heard?’ That is, did they do more than hear. There is great blessing in knowing more and more of the will and ways of God. But if that knowledge is not accompanied by the heart which is inclined and empowered to do, it is dangerous. It can prove spiritually fatal. Sermons are like medicine, they only work if you take them, they are like food, they only benefit if you actually eat them, they are like exercise equipment, they only profit if they are used. Psalm 84:10 For a day in Your courts is better than a thousand. I would rather be a doorkeeper in the house of my God Than dwell in the tents of wickedness. I then asked a simple question, “Are your plans for the day better than that?” I am not saying that the Bible commands an evening worship service, but when one is available and those dynamics are in play–what is better?